No fantasy this week, I promise! 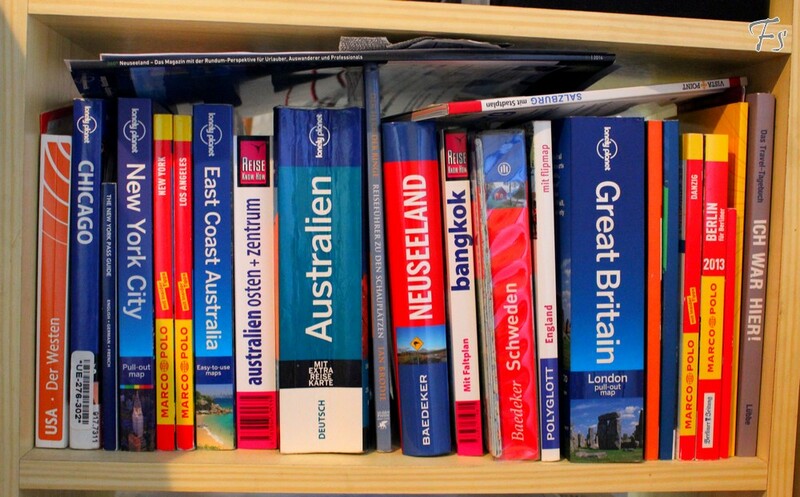 It’s time for all my travel guides! As you can see I own some in English and in German as well. I have two more, but a friend of my borrowed them. I love this self so much and I can’t wait to collect some more travel guides!